Mojang, makers of the wildly popular sandbox building game Minecraft, announced on Thursday a new multiplayer game mode set to arrive next month. 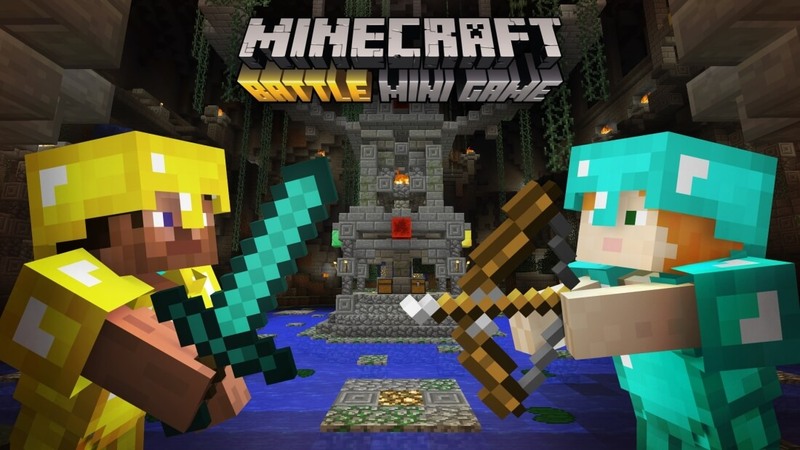 The first of a number of planned mini games, Battle is described as a last-minecrafter-standing deathmatch that’s not unlike the Hunger Games. The mode supports up to four player in splitscreen and eight players online, either through invitation or the game’s own matchmaking system. At the start of each map, players will rush to collect randomized loot from chests. During this period, all players are invincible so trying to fight is useless. Once the countdown timer is up, however, it is hunting season for all. Loot chests will automatically respawn during the match although risking life and limb to get to them may or may not be worth it. There aren’t any player respawns although fallen gamers can return to the action as a bat, fluttering and “squeaking vengefully” at the remaining players. Each round lasts approximately five minutes and the last person standing wins. GameSpot got some hands-on time with the new mode before launch and found it to be hectic, thrilling and engaging. Battle arrives next month on all console editions of Minecraft with three free maps; additional maps will be added at a later date although you’ll have to shell out $2.99 per map pack.